This pub brews four beers on site: SW1, a session ale at 4% which tastes like nectar; SW2 stronger slightly darker at 4.8%, ale drinkers will fall in love with this beauty; Pimlico Porter brewed from a traditional 18th+19th century recipe at 4.5%, dark and rich definitely a winter warmer, one for the connoisseur; Victorian Lager, this original lager beats even the best (Stella, Kronenbourg, Heineken, Beck's) so I'm told. They also do a smooth flow version of the Porter, but if you like the original why try a monster? 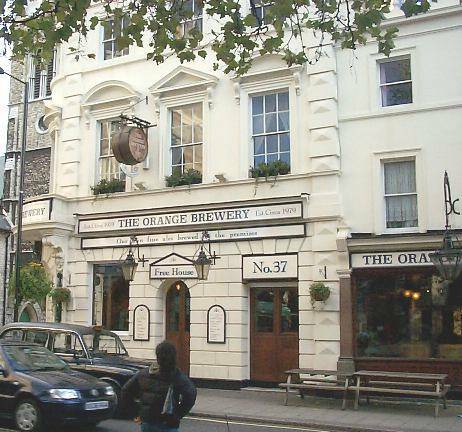 The orange is a lively but friendly little pub on the edge of Belgravia and a stones throw from Sloan Square tube station. Traditional pub food, but the menu is soon to be revamped. Take my advice try their ale. The inside is all dark wood and the floor space is very limited around the long 'L' shaped bar. On the walls there is memorabilia and a huge picture of the the Orange Brewery. 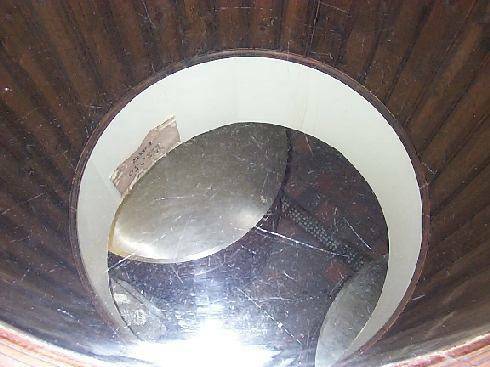 In the back of the pub you can see a barrel type structure with a clear plastic top. You can see the mash tuns in the brewery below here. Seating is a mixture of round/square tables and chairs, plus a couple of high wing backed pine chairs near the toilet. Talking of which, the toilets were basic, but pleasant enough. Well worth a visit if you are in London. Access for the disabled is possible, though space is limited. The closest tube stop is Sloane Sq - you even get to pass Lord Linley's shop!